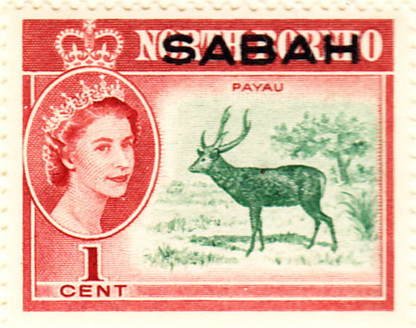 ← During WW2 the area was under Japanese occupation (see Occ2) and British Military Administration, before joining with Labuan to become a British colony (1946), then part of the Federation of Malaysia (1963) with a name change to Sabah (1964). The FICC catalogue lists an 1883 issue by Kotah (a city in Rajasthan), but Gibbons and Scott do not. The three issues in this period are all Convention states. 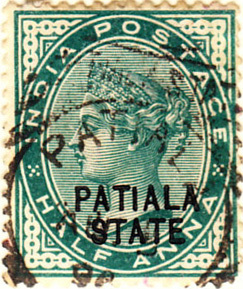 Jind (which issued both feudatory and convention stamps) was covered in Display 9. All the states are listed in Display 6. 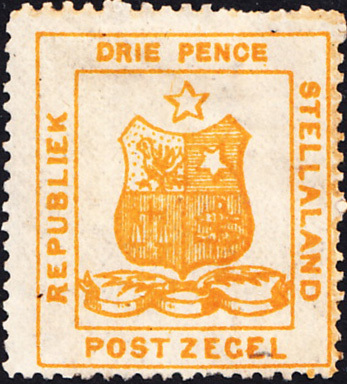 Stellaland was a short-lived Boer republic, annexed by the British in 1885 and became part of British Bechuanaland. There were only five stamps, all to the same design, plus one surcharge overprint. The first issue 1p red is unaffordable ($225/$375) and most of the others are significantly more expensive, though the #2 mint shown is accessible. 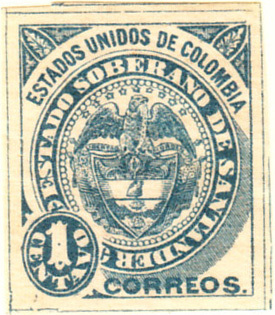 Santander, one of approximately eight Colombian provincial issues (the others are listed under the main Columbia entry in Display 5). The precise date of issue is not known. Guanacaste is the only provincial issue by Costa-Rica. 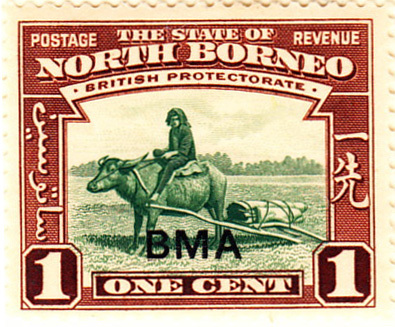 The stamps are overprints of the national issues and were sold at a discount for use only in the province in recognition of its isolation, stamp-unfriendly climate and poor postal service.